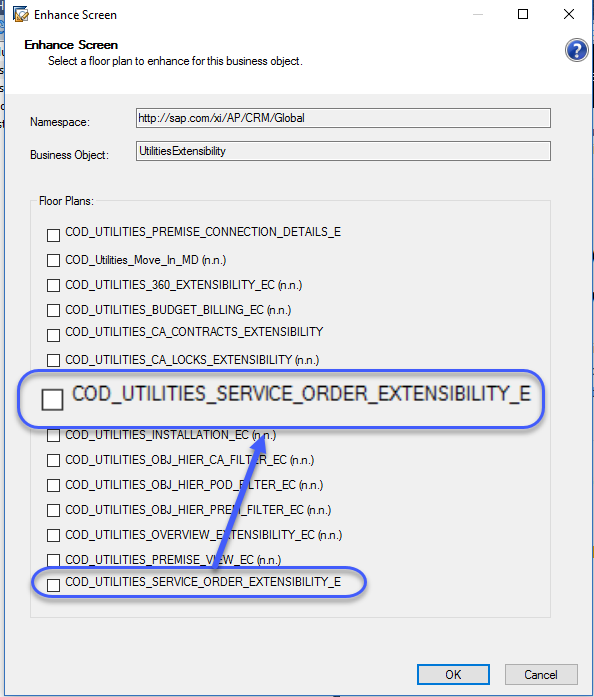 The objective of this blog is to explain how can we extend Utilities Service Order facet in Premise TI. The blog will explain how to add more details to Service Order list as well as ISU transaction Link (You can configure FOP – Front Office Process Link as well like this) which can open the current Service Order in the Edit mode in ISU. Below will be our targeted Service Order UI with the Link for Edit Service Order and additional fields added & populated. 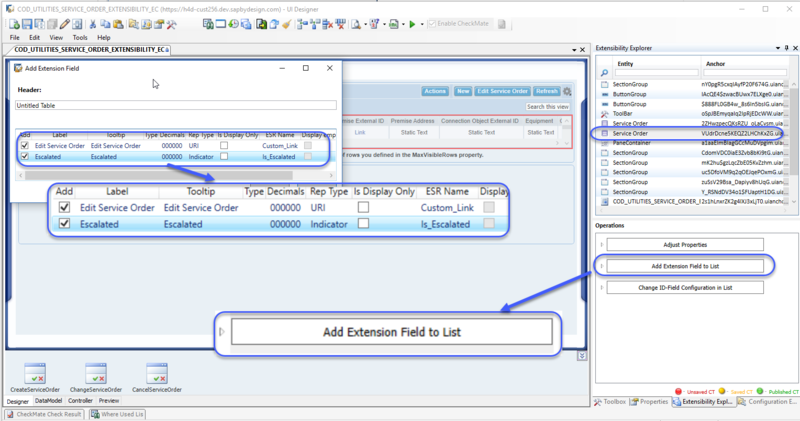 Create Extension BO for adding extension fields. 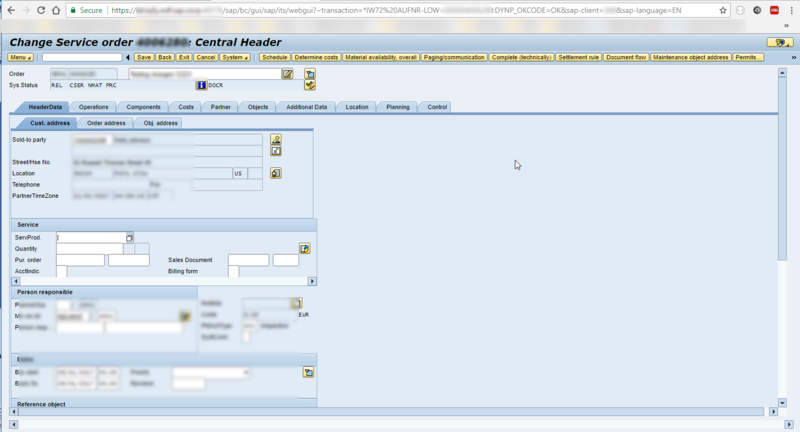 Implement Service Order Enhancement Implementation. 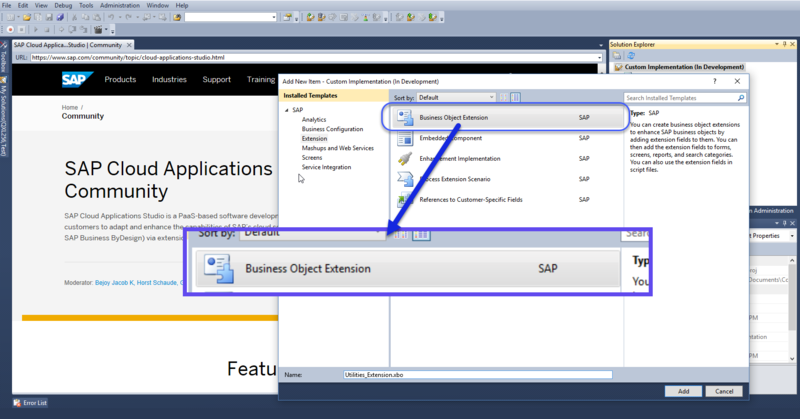 Select the Utility specific business object for extension. For Extending Service Order, below will be the node which you need to extend. In the above example we have included Service order Edit ISU Link and flag to indicate whether Service Order is escalated or not. 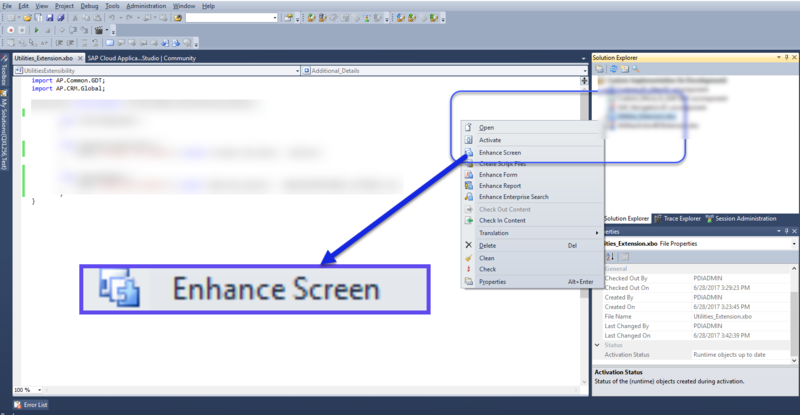 To extend the UI’s for the above enhancement, select “Enhance Screen”option by right clicking on the business object extension. 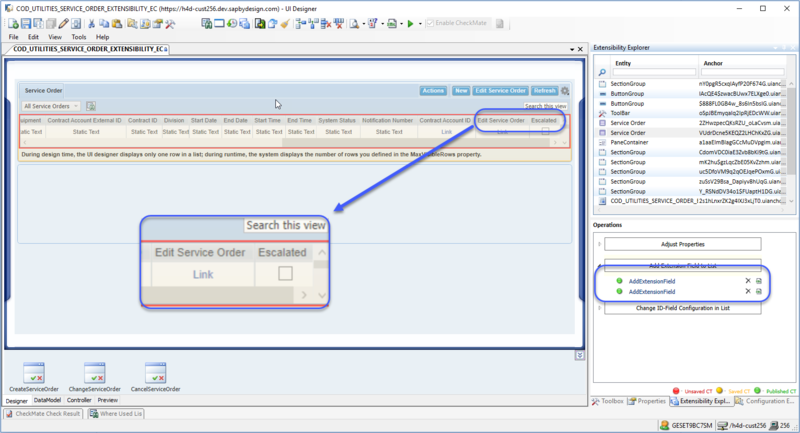 Adding extension field to the Service Order List:- Select anchor called “Service Order” to add the extension fields. Once field is selected and applied – “Save and Activate”. 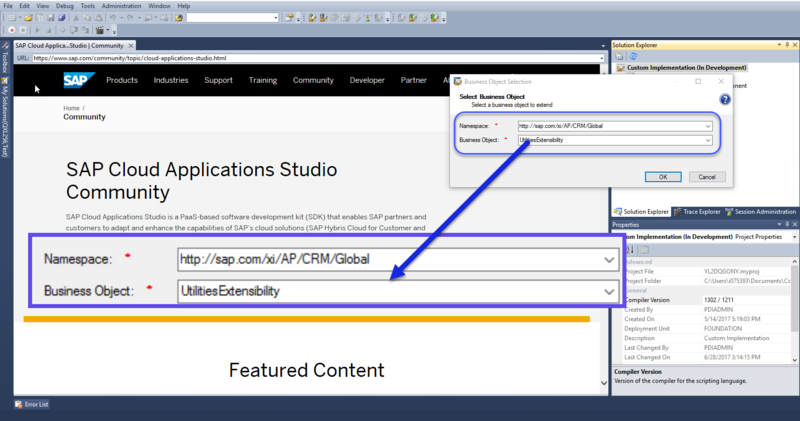 With above changes, the required UI is enhanced with your extension fields. To populate data to those fields you need to implement Enhancement Implementation provided for Service Order. Note :- From C4C 1708, mapping of standard fields in Enhancement implementation became easier as Standard fields will be pre fetched and will be part of input parameter. 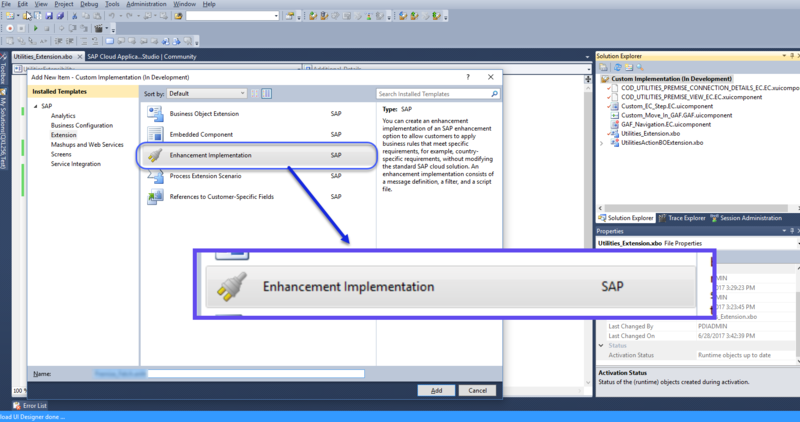 Implement custom Logic for populating Link as well as escalation status. With above enhancement:- Service Order facet will look as shown below. Edit Service Order Link will navigate to the below ISU screen.